Simpleliving: August Junk Challenge ! make a chook house ! August Junk Challenge ! 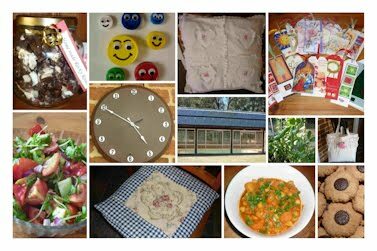 make a chook house ! 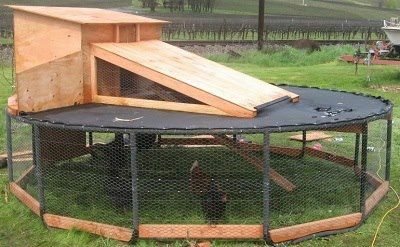 Another great recycled project, making a chook house from an old trampoline ! This is fantastic! Who would have thought an old trampoline - I wish I was this creative! While it looks great it would be awfully hot under there during summer. That looks awesome! It wouldn't be any hotter than any other protected area would it? When you build a chook house you should always make sure that it has lots of shade for the chooks. You wouldn't build a chook house in full sun, the poor chooks would cook. Ha ha, what a fantastic Hen House Hilton! From Dimes to Diamonds...more bling without the ka-ching! Thai style Tom Kha Gai (galangal & chicken soup).. GIVEAWAY! My Etsy shop needs a new name. Orange Tote Bag For Sale ! Squishy Marshmallows...clouds in your mouth! Day 11 Zucchini & Tomato Soup ! 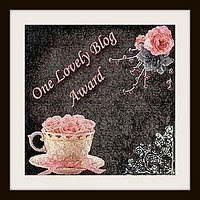 I received this lovely blog Award from Melissa at 3creativechics. A Sparkling Clean Toilet ! 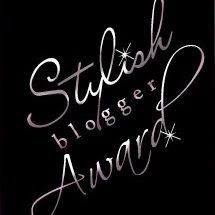 Using No Toxic Chemicals ! Healthy Chocolate Coated Bananas ! Sushi Without Rice - Low Carbohydrate ! Home Made Dark Chocolate Rocky Road ! My New Glass 10 litre water container with tap ! August Junk Challenge !Reuse Tyres To Roof The House ! Orange Peel Vinegar Cleaner ! Make Your Own Shoe Inner Soles! HERE IS A FABULOUS SITE,THEY SELL GREAT HEALTHY & WHOLESOME PRODUCTS. I RECOMMEND THEM WHOLEHEARTEDLY.